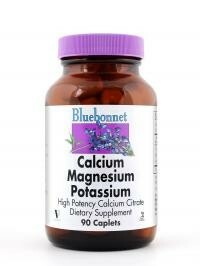 Bluebonnet’s Calcium Magnesium Potassium Caplets provide calcium in a chelate of calcium citrate and magnesium in a chelate of magnesium aspartate. Plus, potassium in a chelate of potassium aspartate. Available in easy-to-swallow caplets for maximum assimilation and absorption.